Here, Dr. 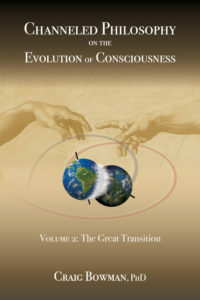 Bowman completes the Contemporary Revealed Philosophy (CRP) by presenting expected advancements in human ability and institutions, as the century unfolds. Optimistic forecasts do not fail to address societal pathologies that require action. This little accepted and understood perspective on evolution is then entered into important academic discussions in comparative religion, transpersonal psychology, and the new worldview debate, at a time when the materialistic paradigm in the West is crumbling. As a result, the reader gains a much clearer notion of what a new age really means.